A few years ago the idea of wearing a wig, for anyone under the age of 75 years old, was a bit of a stretch; seen as unstylish, outdated and made mostly for elderly aunties. But nowadays, Full lace wigs human hair becoming more and more popular with our favorite celebs and in everyday life. Fast forward a few years and now girls in their early twenties are sporting wigs every day. Today, Layla Hair will introduce for all customers how is the best full lace wigs human hair. Please read until the end to find out some information about the best full lace wigs human hair. What is the best full lace wigs human hair? 1 What is the best full lace wigs human hair? 3 What is the best lace front wigs human hair? 4 How to make the best full lace wigs human hair look natural? 4.1 Last but not least. 5 Where to buy good wigs online? First of all, full lace wigs is a special type of hairpiece or wig in which human hair is tied by hand to a sheer lace base which goes over the scalp. Full lace wigs may have a base made entirely of lace. Moreover, full lace wigs can be pulled into a high ponytail as opposed to lace front wigs. If a lace front wig is pulled back, it is usually obvious that it is a wig. The best full lace wigs human hair will make you look so hot which is a popular kind of lace wig. The best full lace wigs human hair like 100 virgin human hair wigs. Both of them constructed from a lace cap that covers the whole head 100% human hair is knotted into this by hand. With the best full lace wigs, you can create a parting anywhere you want. Or you even can wear the hair up at the back without detection that you are wearing a wig. Basically, it is a full hand-made wig, so it is breathable and light on the head. Moreover, you can have a realistic appearance grow along the scalp. The best full lace wigs human hair is sold by best full lace wig companies- Layla Hair. We are able to easily point outs a lot of benefits of best full lace wigs compared to other wigs. First, they are much more versatile, can be parted as every way you want. The second benefit we want to mention is that full lace wigs with lace all around available for being worn a high ponytail. They make people have a more natural look. They are also lighter because of knotted hair strands. However, everything has both positive and negative sides. Full lace wigs still have some small disadvantages. They are usually slightly more expensive than front lace wig because they are totally made of lace and every single hairpiece knotted by hand. What is the best lace front wigs human hair? On the other hand, the best lace front wigs human hair is little different from a full lace wig. The lace front wig hairstyle attached to the front edges of your head, along with your hairline where there is often a lace panel. The lace is often 2-3 inches wide at the front. We use a kind of material which is stronger and thicker to make the rest of the wig. And the hair strands attached in wefts to this material. The rest of the base is thicker but still comfortable. Lace front wigs square measure sometimes glued at the front and have straps that may be tightened at the rear and combs at the sides to mend them securely to the pinnacle. As best full lace wigs human hair, best front lace wig provides the feeling of a natural looking hairline because the lace is almost invisible. The price of these wigs tends to be cheaper and more affordable to customers. They are also simple to wear even for first-time wig wear. A Lace front wig is quicker and easier to apply on your head. Besides, installing a full lace wig is going to take time, especially if you are wearing a wig cap underneath. This is one of the reasons why many people turn to lace front wigs instead as it’s easier to get a more natural looking hairline and doesn’t take up too much time to apply. The best lace front wig provides the illusion of a natural hairline and looks like so silky and shiny. How to make the best full lace wigs human hair look natural? A wig protects the hair while still ensuring a woman looks at her best. The problem is in making a wig look natural. The next best option is to get a human hair wig from Layla Hair and make it look as natural as you can. Wondering how to make wigs look natural? Here are a few tips that will ensure no one can tell that you are wearing a wig. Let’s begin with the first tip is choosing a suitable wig. When buying, choose a wig that will fit you well. One that has an adjustable fit is the best option. Also, choose a wig that has roots that are similar to yours. This will make it very easy for the wig to blend with the hair. Next, You should use the best lace frontal to make your hairline look natural. Some people decide to leave some of their natural hair at the front so it blends with the wig. This hair needs to style to match the texture and curls of the wig which may not be easy. The heat and products used to style this hair could also harm the hair leading to breakage. You need to take care of your wig. The best full lace wigs human hair will give you a hairline that looks natural. The hair sewn on lace and it looks as if it is coming from the scalp. The hairline will look great without having to strain the natural hair. This is very important because it will determine how real the wig looks. It should not look too perfect. But you want to look good and hence must care for it. The first thing you should do to get rid of the shine that synthetic weaves have. Just apply a little dry shampoo on the strands. Cut the strands as well so they look well-kempt but not too perfect. You can also take it to a professional hair stylist. If it is human hair, you can style it with heat as you wish. Where to buy good wigs online? 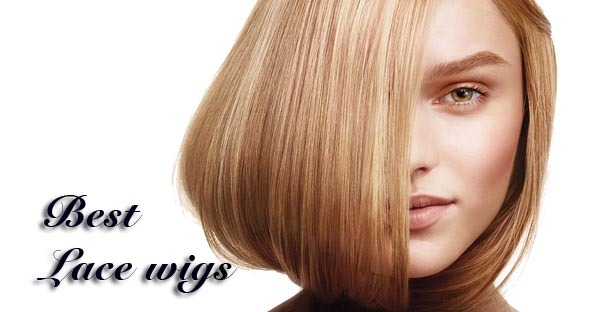 Are you seeking for good wig companies? You want to have the best full lace wigs human hair to add more thickness to your fine and thin hair? Or You are at the right place, girls! Layla Hair raw virgin hair vendors specialize in manufacturing and exporting lace wig. To satisfy our customers and best hair salon in Vietnam who love Remy hair, Layla Hair co does not use any harsh chemical to change Remy hair structure and hairstyle. Our best lace front wig washed, conditioned carefully by our high standards, sometimes it moisturized to keep the best quality. Layla Hair is wholesale lace wig vendors utilize steam rollers instead of hot iron rollers. Hence, full cuticles and protein of real hair extensions, equally on the top and the same direction to minimize hair tangled and shedding. There you have the best full lace wigs human hair. Try these tactics and you will be happy with the results and can teach others how to make signs look natural. After reading all of the above information, Layla believes that you have more knowledge about the best full lace wigs human hair? Follow our blog to have a large of useful information. Have a nice day !!!. See you soon.